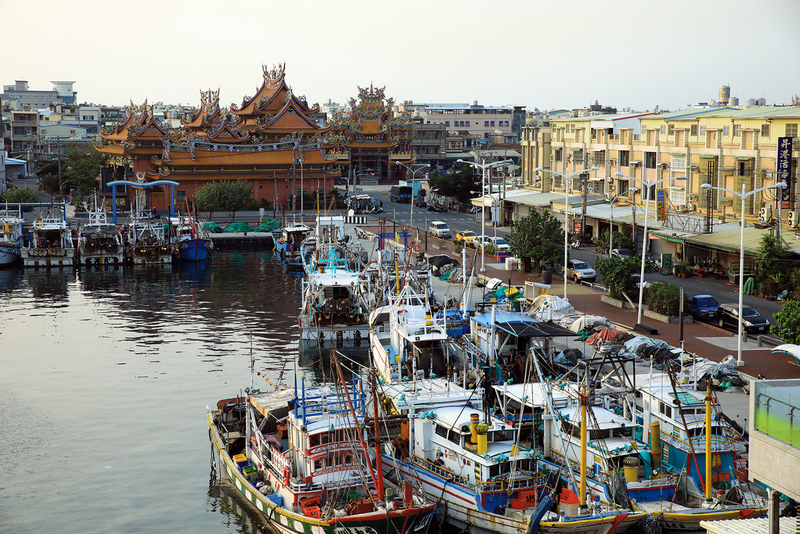 Kaohsiung’s Ke­zai­liao fishing village, which at first glance looks no different from many communities along the western seacoast of Taiwan, seemed to come out of nowhere in 2012 when it hosted the independent music festival “Small Oyster Rock.” The festival became an overnight sensation, attracting upward of 10,000 visitors, and even President Tsai Ing-wen and Kao­hsiung mayor Chen Chu took time out to attend. But it was suddenly suspended after the 2015 event. Now that the show is over and the people have all gone home, Ke­zai­liao relies on its fish market and seafood auction, which attracts the usual tide of people each weekend, including many families. Kezailiao, which has “a small temple every three steps and a large one every five,” cannot really be said to have any impressive scenery. On weekdays one only sees a scattering of old people walking about, and occasionally hears the far-off sounds of children playing. But when we walk into the Tzu­kuan Fisheries Association shop right next to the fish market, by paying close attention we discover many details worth pondering. These include the sculpture Mullet Roe, which incorporates children’s handprints and footprints; the “Premium Wild Mullet Roe Gift Box,” priced near NT$10,000, that won a Hai­yan Premium Seafoods Award; the souvenir gifts whose packaging in the form of a six-sided fish basket and a mullet fish won Red Dot and iF design awards…. Everywhere one sees expressions of the unique history of Kezailiao. Kezailiao means “oyster shack,” and it turns out the village is so named because back in the Japanese colonial era residents raised oysters in the estuary of the Dian­bao River. But Ke­zai­liao’s real heyday was around 1980, because at that time each November to February fishermen would catch mullet that migrated southward in large shoals from the mouth of the Yangtze River. 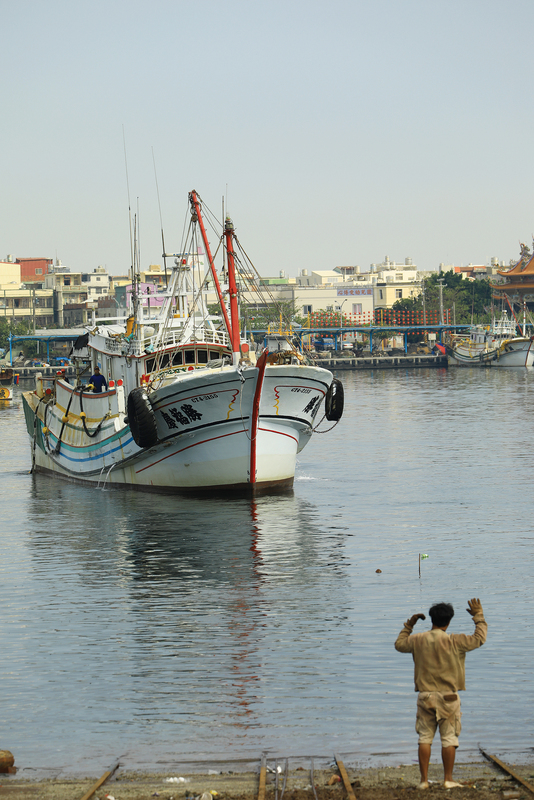 The fish followed the Ku­ro­shio Current to Taiwan’s southwest coast to spawn, bringing these fishermen abundant income. The price for mullet was good, with each fish, male or female, selling at a market price of over NT$300. This “golden age of mullet” gave rise to many unique aspects of fishing village culture. For example, during the mullet fishing season every family would cook mullet with rice noodles and dry mullet roes in the sun. Vic ­Huang, sales director at the Tzu­kuan Fisheries Association, mentions the custom of “tian­zai,” whereby local residents would lay “bets” on the fishermen they thought most highly of, by delivering rice, drinks and firecrackers before the boat went out to sea. If a big catch was brought back they could claim several fish, and the practice added luster to the fishermen’s work. Similarly, Yu Chia-jung, editor-in-chief of the local magazine The Blowing of the South Wind, recalls that when he was a child and his father went to sea, if the vessel returned with a large catch, Yu would help his father give away mullet from his share of the catch to friends and family who lived nearby. People would often repay this gift with vegetables, or would give the child candy or some pocket money. 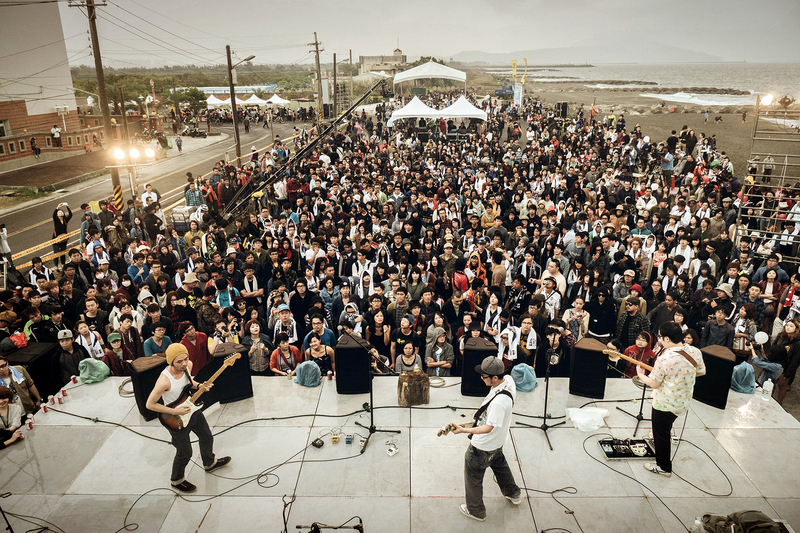 The Small Oyster Rock music festival, which created quite a sensation in its time, in fact started out as a community event initiated by residents themselves. This amazing indie music festival was launched with funds raised by local citizens. There was no government subsidy or corporate sponsorship, and it didn’t aim to make a profit. Even though it has been discontinued for a few years now, many people still talk about it enthusiastically. It was always the tradition at the Small Oyster Rock festival to have appearances by students from Ke-Liao Junior High School and Ke Liao Elementary School. Besides choir and lion dance performances, for the ­second festival a professional drama teacher instructed the ­junior-high students, who performed a play with Ke­zai­liao as the theme. The performance was staged at the peak of the festival activities, the evening of the second day, when there were the most visitors. This resonated with Shih Ho-feng, a film director who had come to make a documentary after hearing about the music festival. In 2014 he shot Small Oyster Rock in Ke­zai­liao (released in 2015), with the festival as the center of attention. 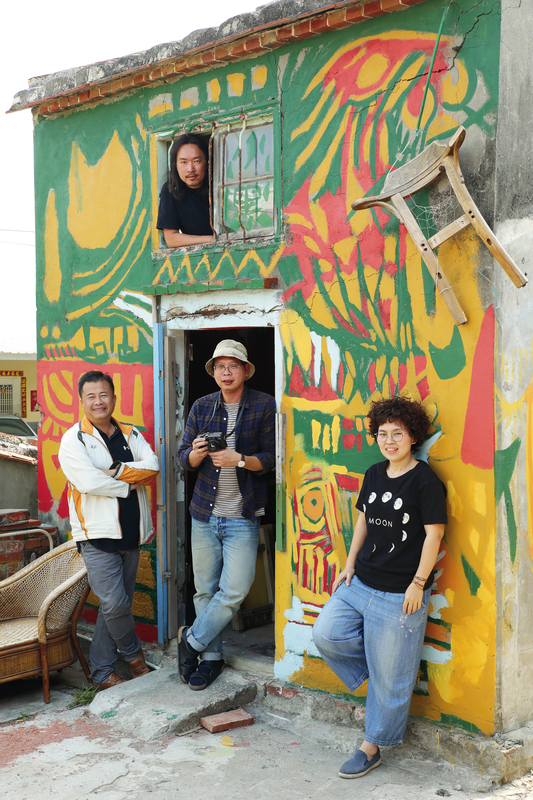 The following year he put the focus on the junior-high students who had performed, joining with director Chen Hui­ping to make Oceans Tide You Home (2015). This same afternoon, Tsai Deng-tsai, who operates a construction business in Ke­zai­liao, along with Kuo Chin-shun, who runs a fishing net business, and several other local business owners in the areas of fishing nets, metals, hand trucks, and automobile insurance, are gathered for a meal at a seafood restaurant near the fish market. Tsai and Kuo were two key promoters of the Small Oyster Rock festival. Giang ­Giang describes this group as “uncles who really need to party.” Their life routine involves meeting frequently with seafood and alcohol as essentials, and kara­oke on occasion to liven things up. When Tsai Deng-tsai explains it to us we gradually come to understand that this is because in the past making a living from the sea was a high-risk endeavor. As Tsai puts it, “Life was something you held onto by chance.” Fishermen didn’t think about saving money or accumulating assets for the future. Often when they came back from the sea, they felt as if they had survived a disaster. Having made a tidy packet, they would drink or even gamble, seeking pleasure in the moment. This culture of drinking and of living only for the present, which started with their fathers’ genera­tion, continues to this day. These unique environmental factors not only shaped the generous and optimistic character of local residents, it also produced a deep attachment to their hometown, in turn generating powerful cohesiveness. For the festival, Tsai Deng-tsai and Kuo Chin-shun took responsibility for fundraising and public relations, targeting their fundraising efforts on the hometown friends with whom they normally drank and hung out together. ­Tseng Jhih-ling, a young homestay operator familiar with the indie music scene, handled contact with the singers and bands who were to perform and the execution of the festival. Li Xian­lang, a retired teacher from Kao­hsiung’s Hai­cing Vocational High School of Technology and Commerce, took charge of administrative work and getting government permission to use the site. Yu Chia-jung took on the task of implementing the cultural and creative program. And both before and after the festival, volunteers from the neighborhood watch team, as well as volunteer moms and dads from Ke-Liao Junior High and Ke Liao Elementary, were enlisted to clean up trash and put the venue in order. In this way, the energies of the whole village were mobil­ized for the Small Oyster Rock festival, and famous singers and bands including ­Hsieh Ming-yu, Lin Sheng­xiang, Pa­nai, Sorry Youth, and the Village Armed Youth Band (aka Armed Youth) all joined in this great undertaking. Because of Small Oyster Rock, this quiet little fishing village began to come alive. After three editions in four years the fame of Small Oyster Rock was skyrocketing, but there were problems of traffic and noise brought by the large number of visitors. There was also the challenge of how to maintain the original intent while allowing the festival content to continue to evolve. Therefore, it was decided to call a temporary halt after the 2015 event. 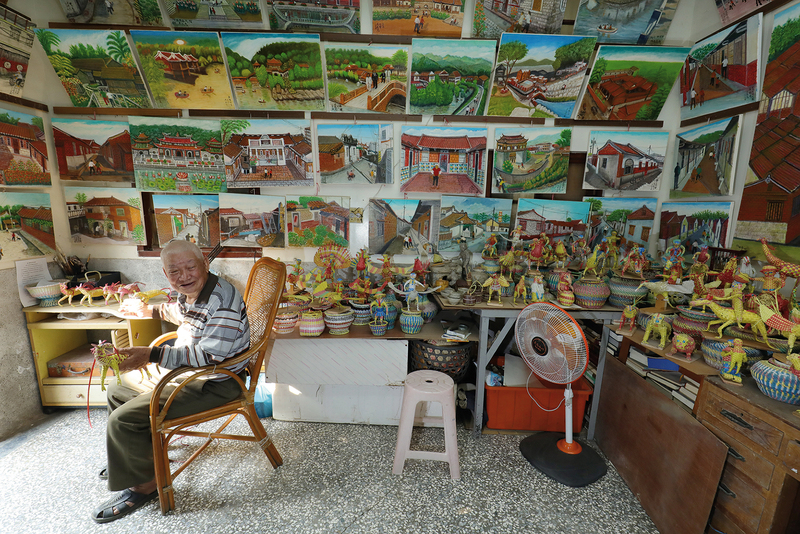 Although the Small Oyster Rock festival has been discontinued for the time being, new stories continue to emerge in Kezailiao. 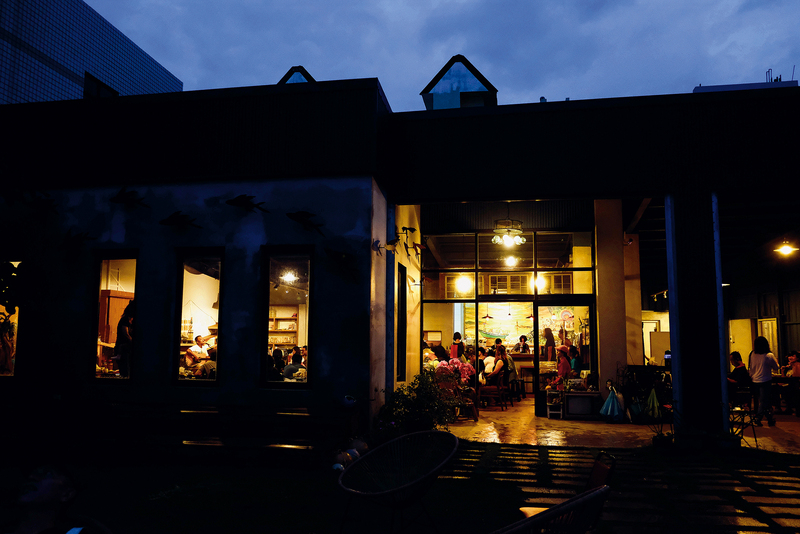 For example, in recent years Tsai Deng-tsai has opened a seaside restaurant called Yi Man Yu, with ­Tseng Jhih-ling serving as manager. From time to time singers perform there, and it also hosts lectures on topics of current interest, acting as a platform for cultural pluralism. 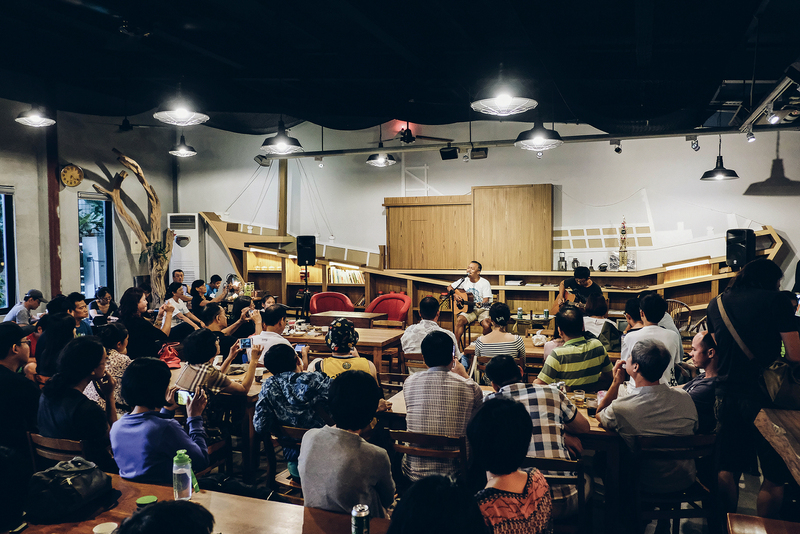 Not far from the restaurant, Yu Chia-jung has rented several old Minnan-style houses where he expects to open a fusion space that will combine a bookstore with a lecture space, a homestay, a bar and a personal workshop. He recalls: “When I first began getting the houses in order, it was volunteer moms and dads from the schools who came here together to cut the grass!” This group of people who interact all day long have indeed never left. 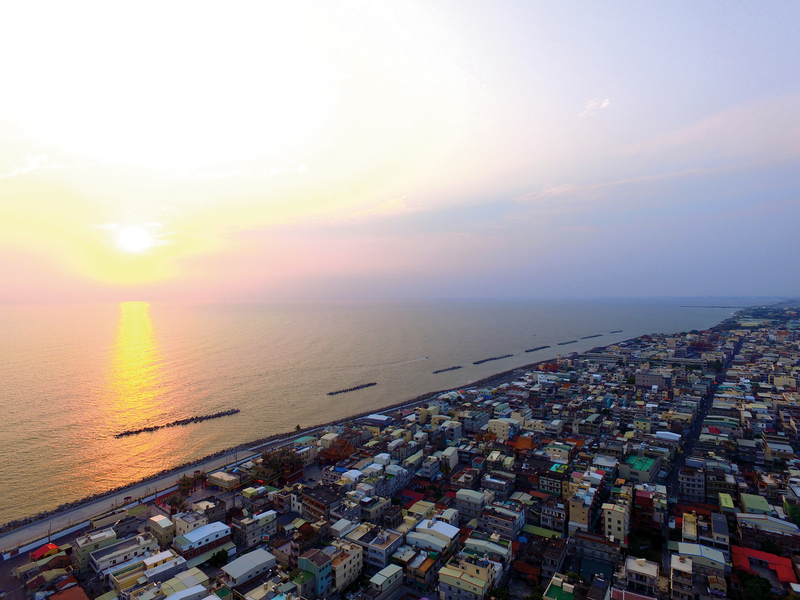 Kezailiao is like many out-of-the-way locales in Taiwan that attract no special attention, yet it isn’t like your run-of-the-mill remote community. It is this group of special people, who deeply love their hometown and who stick together, that have enabled this lonely piece of land to shine brightly on the map. It stands straight and tall, blossoming like a lone flower in a strong sea wind.